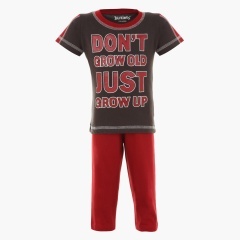 This trendy pjyama set is perfect for your little guy to snooze in. 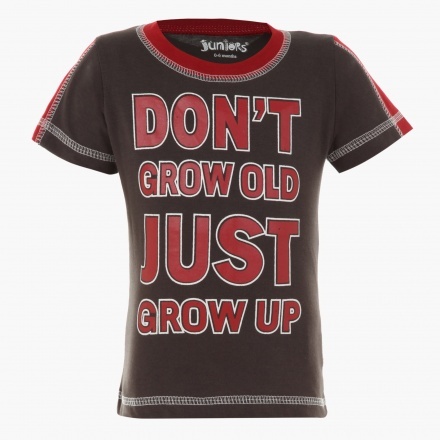 It features a short sleeve T-shirt with contrast panelling along the shoulders, a bold print on the front and stitch detailing that gives it a stylish edge. 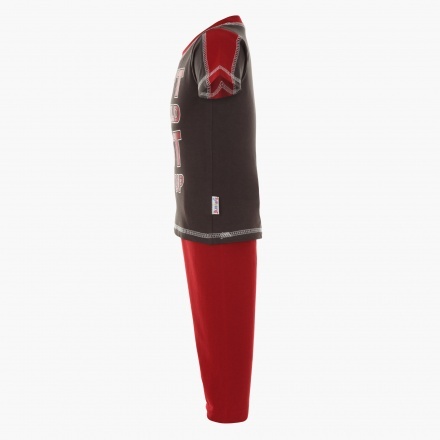 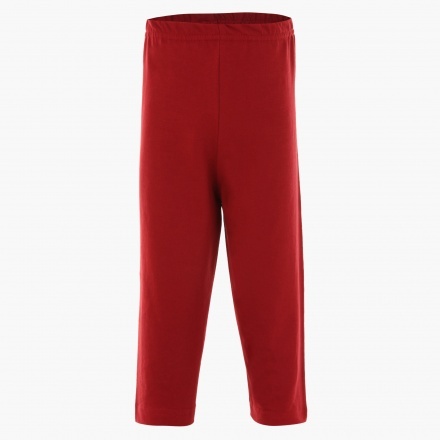 The complementing solid bottoms come with an elasticated waistband that promises comfort.